President Bill Clinton was once accused of renting out the White House rooms in exchange for campaign contributions. That was nothing compared to Arthur Furguson’s enterprise. He leased the entire building. Hello friends! This is Doug Batchelor. How about an amazing fact? President Bill Clinton was once accused of renting out the White House rooms in exchange for campaign contributions. That was nothing compared to Arthur Furguson’s enterprise. He leased the entire building. Arthur Furguson was a dapper little Scotsman always with immaculate dress and charming manner. He began an illustrious career in the early 20’s as a small-time scheme artist working on the streets of London, but by the time he arrived in America in 1925 he was a conman without fear. Furguson believed that Americans were gullible and you can’t really blame him. In one summer in London, he managed to sell an American tourist Nelson’s Column in Trafalgar Square with the lions for $30,000. He sold another American tourist Big Ben for a bargain price of $5,000 and he accepted a $10,000 down payment for Buckingham Palace. While visiting Paris he even managed to sell the Eiffel Tower for scrap at an unknown price to yet another American. At this point, Scotland Yard detectives were hot on his heels so naturally Ferguson boarded a ship for America. Arthur Furguson had only been in Washington briefly when posing as a government official he managed to lease the White House to a cattle rancher for 99 years at a cost of $100,000 per year. Furguson told the believing rancher that they were going to build a bigger residence for the President closer to the capital building. Furguson convinced the rancher that income from the tours of the old White House would bring a handsome profit. Naturally, the first $100,000 was due in advance. When the deal was consummated, Furguson quickly caught a train to New York city with a bag full of money leaving it to the government officials to explain that the White House was not really available for lease. Furguson easily had enough money to retire, but he could not resist the temptation to sell the Statue of Liberty to an Australian tourist. Furguson told him that the entrance to New York harbor was to be widened and unfortunately the Statue of Liberty was in the way. Eventually, investors grew suspicious and contacted the police. After 5 years in prison, Arthur Furguson moved to Los Angeles where he played with small-time schemes and lived off his previous swindles. Did you know the bible tells about an even bigger con artist who tried to sell the whole world? Stay with us friends. We’re going to learn more as Amazing Facts brings you this edition of Bible Answers Live. Welcome to Bible Answers Live brought to you by Amazing Facts Ministries. Are you looking for a clear, concise answer to your most challenging bible questions? Maybe you’re struggling to understand difficult passages of scripture. If so, you’ve come to the right place. Join us now as we open God’s Word to discover His will and find honest, practical answers to your bible-related questions. This broadcast is pre-recorded. If you have a bible question call us Sundays from 7 to 8 pm Pacific Standard Time at 800-GOD-SAYS. That’s 800-463-7297. Now, let’s join our host, author, speaker and evangelist, Pastor Doug Batchelor. Pastor Doug Batchelor: You heard the number and we do have lines open. For those who maybe tuning in for the first time, this is Bible Answers Live. We are a live, interactive bible study that’s brought to you all around the world via Internet and the Radio. We’re on I guess about 400 stations right now and we invite you to call in with your bible questions. There are a lot of programs who deal with a broad variety of issues but this program is especially tailored to talk about the Word of God – the bible. That’s why the phone number is 800-GOD-SAYS. 800-463-7297. Call us with your bible question and we will search the Word together looking for the answers, claiming the promise, “If you’ll seek, you’ll find”. My name is Doug Batchelor. Pastor Jëan Ross: My name is Jëan Ross. Good evening, listening friends. Pastor Doug, as usual let’s start the program with prayer. Dear Father, we thank You that we’re able to come to You this evening and ask for Your special guidance and blessing as we study Your Word. We ask that You’d be with those who are listening wherever they might be, travelling in their car or perhaps at home and our request Lord is that the Holy Spirit would guide us into a clearer and full understanding of Your Word. For we ask this in Jesus’ name. Amen. Pastor Jëan Ross: Pastor Doug you opened the program by talking about a fantastic con artist who was able to deceive many people. But who are you referring to when you said that there was somebody who wanted to sell the world? Pastor Doug Batchelor: Well, you know it’s really something when you try to sell something back to the owner and there is a place in the bible where the devil in the third temptation that he brought to Jesus when Jesus had been fasting in the wilderness. It says in Matthew 4:8, “Again the devil took Him up to an exceeding high mountain and he showed Him all the kingdoms of the world and their glory.” Now, there’s no one mountain in the world where you can see all the kingdoms obviously the devil created this vision or illusion that he panorama he made passedbefore the Lord. He didn’t show Jesus the slums. He basically was saying, “Look You’re coming to die for the world, to save the world. But I’ll give it to You. I’ll treat it to You. You fall down and worship me and it’s Yours.” And that’s what he said there, “All these things I will give You if You fall down and worship me.” And Jesus of course, said, “Away with you, Satan for it is written, “You shall worship the Lord your God and Him only shall you serve. And then the devil left Him and behold the angels came and minister to Jesus.” So this was the culmination of the three great temptations that came to Christ. And Jesus met every temptation with, “It is written. It is written. It is written.” And you know, it’s amazing how somebody could be fooled into buying really thinking that they could buy the Eiffel Tower or lease the White House or you know, the other amazing things that this con artist was able to bamboozle people with, but the devil does this everyday. Who would ever trade the glories of eternal life, the world with no more pain or suffering for the temporary passing unsatisfying pleasures of this world? You’ve really got to be conned to do that. And yet we all fall for those cons everyday when we’re tempted and we sinned. And maybe you friends, have had the buyer’s remorse the devil has conned you before. He’s tempted us all. The bible says, “He’s going around as a roaring lion seeking whom he might devour.” If you are struggling with that as most people do and you’d like to know, what are some tips to resisting the devil, to overcoming temptations so that I’m not swindled? We have a free offer that’s going to tell you about some of the secret weapons that are available to resist this con artist’s schemes. Pastor Jëan Ross: Well, we have this evening is a book written by Pastor Doug entitled, “Tips for Resisting Temptation.” An important subject, I think Pastor Doug this is something that every human being faces, how do we overcome those temptations of the greatest con artist of all time. “Tips for Resisting Temptation”, it’s free if you’d call our resource line 1-800-835-6747. The number again is 800-835-6747. Ask for the book, “Tips for Resisting Temptation” and we’ll be happy to send that out to you. Pastor Doug Batchelor: Now, just before we go to the phones, we wanted to remind our friends, we know some people only listen to half the broadcast, so we’re going to mention this twice tonight. We are, Pastor Ross and I are going to be uplinking on Satellite across the country, around the world actually on 3ABN. It will be then also carried by the Hook channel in North America, the Inspiration Channel a special series of meetings starting Friday night. That’s October 8, called, “MIQ”. But that stands for “Most Important Questions” and this is a special series and an event for teens, teenagers between the ages of 13, 17, 18. We’re going to talk about what are some of the most important questions about Christianity, the bible, religion as you launch on to life you need a good foundation and your questions need to be answered about how do I know there’s a God, did we evolved or are we created, is the bible true and a number of other issues. How can you be a real Christian and follow Christ in this fast-paced society we’re living in? And so this is going to be recorded and broadcasts before a live audience in Cedar Lake, Michigan and we’d encourage you to tune in. Now if you want information on where to watch it, when to watch it, how to watch it, go to the website. It’s MIQTeens, MIQ-T-e-e-n-s.com and you’ll find more information there and hope you’ll link it and send it to your friends and please pray for the event. Well, I’ll talk about that again briefly at half time. But why don’t we take our calls now? Pastor Jëan Ross: Alright. Our first caller this evening is Brian and he’s calling from Royal Oak, Michigan. Brian, welcome to the program. Pastor Doug Batchelor: Hey, we’ll be in Michigan in a few days. Brian: That sounds great. I’ve been looking in for quite sometime now and I’ve been very helped by a lot of things that you have been talking about which brings me this question here. Brian: And that is in 1 Peter 3: 19. It says, “By which also He went and preached unto the spirits in prison.” I have an idea what I think it is and I’d like to hear your opinion on it. Pastor Doug Batchelor: Alright. Well, first of all one of this, keep in mind, one of the main prophecies about the Messiah was to set the captives free. Jesus when He began His ministry, He stood up and He quoted from Isaiah 61 where He said to, “Set at liberty those that are bound.” And the whole bible is built around the story of the Exodus where God brought a nation out of prison. He brought the apostles out of prison. He delivered Peter from prison. He delivered Paul and Silas from prison. The bible is full of these prison-break stories. Joseph brought out of prison and so that is a symbol of salvation for the Jews and Peter, of course who had experienced being broken out of prison twice by angels. He is thinking in this context when he talks about the spirits in prison, he’s talking about people who are imprisoned by sin. Now the story he’s talking about, you’re looking just the word directly above verse 19 the last word is Spirit. It says, “For Christ has suffered for sins the just for the unjust that He might bring us to God being put to death in the flesh but quickened by the Spirit.” You’ll notice it’s capital S. And then you look in Genesis chapter 3, I’m sorry, Genesis 6:3. Pastor Doug Batchelor: It tells us that just before the flood that God said, “My Spirit will not always strive with men”. So the same Spirit that rose Jesus is the same Spirit that Christ preached through Noah to the people imprisoned by sin back in the days before the flood. That’s what we’re saying some people have taken the verse because you know whenever you go from one language to another, it can confuse you sometimes. But now, I don’t want to go too far off track but like in German the way they would structure the sentence is, “I will throw the cow over the fence some hay.” Well, in English we picture someone throwing a cow over the fence. Do you see what I’m saying? Pastor Doug Batchelor: So, it throws us. Well, in Hebrew it’s not talking about preaching to ghosts that are down and hidden somewhere. They understood that it was talking about people speaking to people who are imprisoned by sin. And so this is one of the places where when you go from Greek to English, it sometimes can get confusing in translation. Brian: Well, the next scripture is what ties into that also just we’re sometimes we’re disobedient. Pastor Doug Batchelor: Right and then it goes and it says which were in the days of Noah. It’s talking about the people imprisoned by sin back in the days of Noah. God said, “My Spirit won’t always strive. You have a 120 years.” So from the time that God made that prediction, there was a 120 years till the flood. Brian: Right and the other part of that was what see in verses before that talking about that the sons of God saw the daughters of Men. Pastor Doug Batchelor: When they saw the daughters of Men. Yeah. Pastor Doug Batchelor: No the, if you don’t mind my jumping in real quick here. Pastor Doug Batchelor: The word sons of God as referring to the descendants of Seth. You’ve got two groups of people there by the time Genesis 6 comes along. Cain took his wife and he basically, he went off and left the family. Adam and Eve had another son after Abel was killed named Seth. Seth and his descendants worshipped God at least for a while and they were called the Sons of God and then you’ve got the descendants of Cain who were called the daughters of men. They were mortal and there are several verses for instance in 1 John chapter 3 it says, “Behold what manner of love the Father has bestowed on us believers that we should be called sons of God.” In John 1:12 “As many as received Him to them He give power to become the sons of God”. Romans 8:14 “As many as are led by the Spirit these are the sons of God” and so all through the bible Isaiah 56. Pastor Doug Batchelor: A day when the sons of God came to present themselves before the Lord. Pastor Doug Batchelor: Yeah. That’s true. Now there are two ways that, that terms is sometimes used in the bible. In one example you’ve got sons of God in Job for instance, it’s a very generic term. As a matter of fact the word Lord in the bible sometimes that referred to King David was called Lord. They called Joseph Lord, people that. It was a position that was very broad. It could be anything from an officer to God. It’s a very broad term. Sons of God is one of those terms but there in Genesis chapter 6 it’s talking about the descendants of Seth intermarried with the descendants of Cain. It’s not talking about angels or aliens procreating with people. Hope that helps Brian but we probably need to go to another caller now. Appreciate your question. Pastor Jëan Ross: Our next caller is Gady he is calling from Brooklyn, New York. Gady, welcome to the program. Pastor Doug Batchelor: Hi! Welcome and you have a question. Gady: Yes my question was, is hell real and where in the bible that specifies that? Pastor Doug Batchelor: Well, question number one, hell is real. It’s not burning yet. The term hell is sometimes referred to the grave in the bible. It’s called Sheol and it just means a place of darkness. So a lot of times in the Old Testament when it talks about hell it just says that you know, they were buried, they went down into the grave but there is a place of punishment called the lake of fire. You’ll find that in Revelation chapter 20 and it says “All of those whose names are not found in the book of life, were cast into the lake of fire”. Actually that is in Revelation 22. First reference to the lake of fire is in Revelation 20. And so you can read in Malachi chapter 4 where it tells us “Behold the day is coming that will burn as an oven and all the proud and all that do wickedly will be stubble. The day that comes will burn them up” and you know many verses Jesus said “Fear not him who can destroy the body but can’t hurt your soul, fear Him who will destroy soul and body in hell” and so everything from Christ on. Pastor Ross? Pastor Jëan Ross: You know we got a website dealing with the subject of hell. It’s got an intriguing title HellTruth.com and Gady if you’d like to get a whole lot of other scriptures on this particular subject, take a look at that website HellTruth.com. 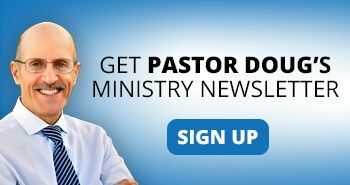 Pastor Doug Batchelor: And they’ve got also other videos there, audio questions, lessons you can download. Hope that’s help a little bit. Appreciate your call. Pastor Jëan Ross: Gene is calling from New York, New York. Gene, welcome to the program. Pastor Doug Batchelor: Gene, you’re on the air. Bible Answers Live. Gene: Hi good evening pastors, how are you? Pastor Doug Batchelor: Good evening and your question tonight? Gene: Yes, my question comes from Matthew 24:33 regarding the plan of generation. My understanding that we’re living in the part of generation that the bible speaks of a generation as forty years. Gene: I just wanted to know how can we determine when that final generation began. Pastor Doug Batchelor: Alright. First of all the forty years part and you said Matthew 24 which verse? Pastor Doug Batchelor: Sorry, Matthew 24:34 that when you see certain signs happen he said know that this generation will not pass away till these things be fulfilled. Keep in mind part of the question that Jesus is answering in Matthew 24 is not just the end of the world. The disciples are asking Him about the destruction of the temple. They said, He said there won’t be one stone left on another on the temple right? 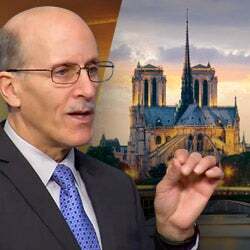 Pastor Doug Batchelor: And they said, “When will these things be?” the destruction of Jerusalem and the temple and “What would be the sign of Your coming in the end of the world”. Jesus made this prediction in Matthew 24 right about 30-31 A.D. forty years later Jerusalem was destroyed, one generation in seventy A.D. The Romans burnt their city and destroy the temple. And there wasn’t one stone left on another. Now others have said does this prophecy have a dual application and when does this final generation start. I think we need to be careful. Hal Lindsey first said in his book “Late Great Planet Earth” that in 1948 when Israel was established as a nation is when it began in 1988 the rapture would happen and of course he sold a lot of books but it didn’t happen. So, I think we got to be careful about pinpointing when that is. I’ve got some theories but nothing I’m feeling comfortable sharing. I’ve had some theories that failed before. Pastor Doug Batchelor: So, but I do think we’re in the last generation so I’m with you on that Gene. Gene: Alright! Thank you very much. Have a good evening. Pastor Doug Batchelor: God Bless! Pastor Jëan Ross: Robert is calling from Indiana. Robert, welcome to the program. Pastor Doug Batchelor: Good evening and your question. Robert: Yes I have… I have to ask a few questions to ask my question. Robert: Before we talk about prophecy. Close the door. You talked about the expansion principle how something will be presented in like in Daniel 1 chapter and that will be expanded on. What do you call that? Pastor Doug Batchelor: Well, I’m comfortable calling that the expansion principle but I like also to say that God is giving us different dimensions. It’s like you walk around an object if you look at a flat surface you get one perspective. If you get two dimensions you get a clear perspective, three dimensions clearer still, and then if you can do an MRI and look right through it that’s another dimension. In Daniel, for instance it gives the history of the world through a series of prophecies that helps. It appeals for one thing, it appeals to different people from different perspectives. Pastor Doug Batchelor: When he is talking the Babylonians, he gives the history of the world in an image, an idol and then he talks to the Israelites, he gives it in a sheep and goats. They were shepherds and so they could relate to that. Christ did this also in His parables. He used different stories that would appeal to different people so they could relate to the same truth. Robert: Okay. Could I ask my question now about the feet? Pastor Doug Batchelor: Okay. The feet of Daniel chapter 2? Robert: We should see that mirror what happens in Daniel 7 with the expansion principle in more detail in Daniel 7 from Daniel 2. We’re just giving an overlay the different kingdoms from the head to the feet. Robert: And the feet the church comes to believe that the iron represents Rome now weak and strong kingdoms. I think that’s the theory but in Daniel 7 we have the church represents it. Why is not the church represented in the Daniel statue? Pastor Doug Batchelor: Alright. Well, I think it is. Let’s talk about that real quick. In Daniel chapter 2 for friends that are caller is obviously a prophecy student and those listening in might wonder what we are talking about so let me just fill you in real quick. Daniel chapter 2 King Nebuchadnezzar has a dream God outlined sort of the history of the world with the major kingdoms that would occupy God’s people right to the end of time. And he starts with Babylon as the head of gold and then middle Persia as the arms of silver, bronze thighs is Greece, the iron kingdom of Rome and then that kind of disintegrates into a combination of iron and clay and that goes right to the coming of Christ. Now friends, I think you’ll find it interesting that the number one building material in the world today is concrete which is for a bible writer they would mix miry clay with iron. And so I thought that’s pretty interesting that way back in that day before they have concrete they say that would be the final material. But then beyond that the iron represents the Roman Empire clay is what men was made of it they ain’t almost as religion then when you get to Daniel chapter 7, I believe it’s the fourth beast that’s got great iron teeth and so you’ve got both elements even in Daniel 7 as well as Daniel 2. You know I’d like to recommend, you’re in a deep prophecy Robert and it takes quite a while to answer some of these questions that cover two chapters. Can I recommend a bible website that we have that has studies on this quite a few studies Daniel 7, Daniel 2? It’s called BibleProphecyTruth.com. Anybody, if you want to see an amazing website on bible study BibleProphecyTruth.com and please take a look at that. Hopefully it will help a little bit. Pastor Jëan Ross: Thanks for your call. Again, Pastor Doug the website BibleProphecyTruth.com. Next caller is Daniel calling from Frank Matthews I believe in South Carolina. Daniel, welcome to the program. Daniel: I’ve got a question on Ham, Shem and Japheth. If Ham means black, what does Shem and Japheth means? Pastor Doug Batchelor: Well, I don’t believe that. I’ve heard that theory. There are some people that have put forth that Noah had three sons and he and his wife somehow had amazing three sons where one son was Caucasian and one son was Black and one son was a Mongol or Asian and that’s a pretty colorful interpretation. It also doesn’t stand up really to the bible because those boys remained at the region of Mesopotamia and their offspring either married for several hundred years after Noah and it wasn’t till the Tower of Babel that they split and that’s so the three sons did not take all of their distinct relatives and going three different directions of the world to populate these various races. Some have tried to say that you know the different races and the different sons and it is true from the Tower of Babel people that could understand each other sort of group together and scattered to the different corners of the earth eventually. But I don’t think the lines were as clean as just saying that Noah and his wife had three children that were all different races but heads of the different races. So I don’t know if that helps answer that Daryl? Or Daniel, Daniel sorry. Daniel: Any specific names for Shem and Japheth? Or the meaning of the name. Pastor Jëan Ross: Well, you know I’m looking at it here. I just look this up just real briefly. What is suggests that the name Shem, the prime root where the name richly might mean means name. That would be the original meaning of the name name. It’s kind a interesting Shem would be called Name. Pastor Doug Batchelor: Like got a men men. Pastor Jëan Ross: Like men. Japheth the original meaning where the word might have derived from, it means open or to open somewhat connected with the name Japheth and the name Ham in that original meaning could represent or at least come from something meaning hot or warm. Pastor Doug Batchelor: So, the very basic back then baby book had very few names on it so they use pretty simple words. Any way, I don’t know if that helps a little bit, Frank. Pastor Doug Batchelor: Oh sorry Daniel. Daniel: Okay it has helped. Pastor Doug Batchelor: Alright! God Bless! Pastor Jëan Ross: Thanks for your call Daniel. Pastor Doug Batchelor: Our previous question was on Daniel, Is that through me? Pastor Jëan Ross: Wanda is calling from Brooklyn, New York. Wanda, welcome to the program. Wanda: Hi! How are you guys? Pastor Doug Batchelor: Doing well! Wanda: I just want to thank you. You guys are incredible. I’m learning quite a lot. Pastor Doug Batchelor: Well, bless your heart, we appreciate it. Keep us in your prayers. Wanda: But I’m very confused because I’ve been doing lately a lot of church hopping and I would like to know how do I know which religion is the right one? Pastor Doug Batchelor: Alright! Good question. There are of course not only a lot of religions out there but assuming that you go with the bible then you’ve got Christianity. How do you know which Christian religion? There are so many denominations. You know Wanda before we go to the break if you don’t mind staying on the line can you hold for a minute? Okay, Wanda you’re sort of forced to hold there for a second. We’d encourage you to standby because the music has come up now and cut you off and we’ll do our best to steer you in the right direction as far as we can. Friends we just need to take a break at this point in our program. We are coming back with more bible questions. We do still have a line or two open. If you’ve got a question it’s 800-GOD-SAYS and also remember AmazingFacts.org is our website. We’ve got a whole lot more information there and other links for bible studies. We’ll be back in a moment. Don’t go away. Welcome back to Bible Answers Live with Pastor Doug Batchelor. This broadcast is pre-recorded. If you have a bible related question you can call us from 7 to 8 pm Pacific Standard Time on Sundays and receive clear, honest answers directly from scripture. Call 800-GOD-SAYS. It’s 800-463-7297. Now please join us as we look to God’s Word for more Bible Answers Live with author and evangelist Pastor Doug Batchelor. Pastor Doug Batchelor: We’re back listening friends and for those who have possibly joined us along the way you’re listening to Bible Answers Live and we encourage you if you have bible questions pick up your phone, give us a call. That number is 800-463-7297. 463-7297 for your bible questions. Keep a pencil handy. We also have a separate number where we direct people for their free resources. My name is Doug Batchelor. Pastor Jëan Ross: My name is Jëan Ross. Pastor Doug just a quick reminder, we’ve got this exciting event that will be starting this coming Friday evening live from Michigan. The MIQ meetings. Pastor Doug Batchelor: We need prayer because Pastor Ross and I are going to be standing up there at the Great Lake’s Academy in front of two hundred and forty live teenagers doing our best to answer their questions about the big questions and so we’re going to need the Holy Spirit and your prayers. And we hope you tune in. If you want more information on how you can watch either on the Internet or on satellite television go to MIQTeens.com. That’s MIQ-T-e-e-n-s.com and you’ll see all the information there. I think Pastor Ross we cut off a caller kind of half way. We just didn’t want to drop her like that so we’re going to see if Wanda is still with us? Pastor Jëan Ross: Wanda, are you still on the air? Pastor Jëan Ross: Alright. Well, thanks for holding. Pastor Doug Batchelor: And Wanda’s question if you miss it on the other half of the hour was dealing with there are so many churches out there how do you, how do you find where God wants you to be? Is that kind of summarized your question? Pastor Doug Batchelor: You know there, there is a lot of confusion now. There’s a lot of good churches in there and I believe there are Christians in many different churches indeed. I believe there are many Christians, the majority are not even in my denomination. That doesn’t mean I believe that every denomination is right. I only believe there’s one truth. But and that’s what we should be basing our decisions on. I just want to make it clear that we believe on this broadcast if there are good Christian people that love the Lord and are following the light that they have in many different persuasions but there should be an ongoing search for truth and the bible needs to be the foundation and we do have a lesson that we’d like to offer you or anybody and it’s called “Search for the True Church” which is exactly what you are asking. “Search for the True Church”. Now you can look in the prophecies and in particular Wanda if you look in Revelation chapter 12 it talks about the bride of Christ and it lists several criteria how you can sort of identify some of the characteristics of God’s church in the last days. And the most outstanding characteristic is in the last verse of Revelation 12 it’s verse 17 and it says “The dragon...” do you know who the dragon represents Wanda? Pastor Doug Batchelor: That’s the devil. It tells you right there in Revelation that old serpent, the dragon, Satan. The dragon is angry with the woman. The woman represents the bride of Christ. She is clothed with light. Jesus said to the church, “You are the light of the world”. The dragon is angry with the woman and he goes to make war with her and the remainder of her seed, her descendants and here is their characteristics, they keep the commandments of God and they have the testimony of Jesus. So, two outstanding characteristics of God’s people in the last days are the law and the prophets. Testimony of Jesus is the spirit of prophecy. Anyway that’s a little tip. I can’t tell you everything in that book but we’ll send you that book for free. All you’ve got to do is call. Pastor Jëan Ross: Call the number 1-800-835-6747 and ask for the book “The Search for the True Church”. “The Search for the True Church”. 1-800-835-6747. Donna is calling from North Bend, Oregon. Donna, welcome to the program. Donna: Good evening Pastor Doug. Donna: My questions is, will little children those who are under the age of accountability whose parents are unsaved, be saved and taken to heaven? Pastor Doug Batchelor: I believe that if they’re before the age of accountability that means they’re not accountable for their sins and I anticipate that you know, vast majority isn’t going to be saved. Now sometimes I struggle and this is just me sort of musing out loud. You think for instance during the flood of Noah you’ve got eight people on the ark that obviously were saved. Noah’s sons did not have any children yet so Noah didn’t have any grandchildren when they got on the ark and evidently didn’t have any when he got off. That all came later. Thinking about all the children that may have died before the flood, let’s just pretend for the sake of discussing that the age of accountability is twelve. I don’t believe that necessarily. I’m pulling that out of thin air just because that’s when Jesus first went to the temple. Let’s just pretend that and when they really understand the consequences right and wrong and eternal matters and they’re old enough to be baptized, let’s just pretend that that’s twelve. With some kids it may be eight or nine. If every child that was under twelve is automatically saved back in the days of Noah of that should die before their time, heaven would be quite a nursery. There’d be an awful lot of children. They’re not maybe the way it is. You know what I’m saying? Statistically it does say there’s children in heaven. You can read it in Malachi chapter 4. It says “Go forth and grow up” speaking of the redeemed and it says, “The child will play.” Isaiah tells us in and I think it’s in chapter 11 where it says, “A child will play on the hole of the venomous serpent but it will not hurt”. It’s just a lot of language talking about the wolf and the lamb and the little child will lead them. Lot of language talking about children in heaven. So it could be children will outnumber the adults ten to one. I don’t know. But when you do the math it does look like there’s going to be a whole lot of children in heaven compared to adults and the other fact is that if people don’t accept Christ by the age of thirteen the percentage and the odds of them accepting Christ start to go down pretty drastically as they get older. Pastor Jëan Ross: You know we also have a passage of scripture in Jeremiah 31:16 where with reference to what Herod did in killing all the baby boys two years and younger at the time of Christ’ birth shortly after that. Jeremiah 31:16 describes that event and says, “Thus saith the Lord refrain thy voice from weeping and thine eyes from tears for thy work shall be rewarded saith the Lord and they shall come again from the land of the enemy” speaking about those who were put to death by Herod and there’s a promise there of a resurrection, words of comfort to the mothers who lost their baby boys. Pastor Doug Batchelor: It’s a good verse. Does that help answer your question a little Donna or did I make things worse? Pastor Doug Batchelor: It’s a difficult subject. Pastor Doug Batchelor: But I know that Lord is good, merciful and He loves children. Jesus said, “Except you become converted and become as a little child you cannot enter the kingdom of heaven.” Hope that helps Donna. Good question is always a difficult one. Pastor Jëan Ross: Bruce is calling from Pacifica California. Bruce welcome to Bible Answers Live. Bruce: Well, thank you. Now, chapter 16 book of Revelation. Bruce: Around verse 12 through 14. Now this is where there are seven bowls of God’s wrath are being poured out on the world at the end, I guess. Bruce: But you know down around 13 this is what I’m curious about. This is the three evil or unclean spirits that look like frogs. They came out of the mouth of the dragon out of the mouth of the beast and out of the mouth of the false prophets. They are spirits of demons performing miraculous signs and they go after the kings of the whole world to gather them for battle on the great day of the Lord God Almighty. But I read a book called “Giants” as Genesis 6 giants is about Nephilim. I’ve been to Nimrod Fortress upon Mount Hermon in Israel and he was one of them apparently and Chuck Nifflerloves to talk about him. And he was, you know, he’s in charge of the nuclear weapons base. He was always afraid of base as they tried to explain that these aren’t really about they’re dimensional travelers like a spirit or Lucifer would be. Do you think that this description, is any of these science fiction movies where we see UFO aliens or frogs? Pastor Doug Batchelor: Well, the three unclean spirits like frogs that go forth to deceive, you remember when Moses said, “Let my people go.” And the pharaoh didn’t want to let go of them. The magicians came out and counterfeited the miracles of God for the purpose of deceiving the king of Egypt. Here you got these unclean spirits and by the way frogs were one of the plagues that fell on Egypt. Here you’ve got these unclean spirits. Frogs are sort of, kind of, that they’re creatures of the night, they come out and croak at night. They silently kill with their tongues. Their weapon is their tongue. No one’s every been bitten by a frog or clawedby a frog and in the same way these demonic spirits are saying that with their words, with their tongues they capture the leaders through the spiritism and the miracles that they can do. And so this is deception and that’s what’s happening in the last days. I don’t think, you know, I think it may pose as spirits of the dead. I don’t they’re going to come as aliens from other worlds but it’s not beyond the devil to do that. Pastor Jëan Ross: You know, if you look at the verse here it says, “These frogs came out of the mouth of the dragon, out of the mouth of the beast, out of the mouths of the false prophet.” You’ve got these three entities working in cooperation through whom these evil spirits are operating. In a sense it’s also kind of trinity. Pastor Jëan Ross: You’ve got the dragon, the beast, and the false prophet. It’s a counterfeit of Father, Son and Holy Spirit. Pastor Doug Batchelor: Good point. Thank you. Appreciate your question. Pastor Jëan Ross: Next caller is Gina and she is calling from Orangevale, California. Gina, welcome to the program. Gina: Thank you very much. Hello, pastors. Gina: Please, I would like you to read 2 Timothy 3:1-5 and then I have my question following please. Pastor Doug Batchelor: Alright. 2 Timothy 3:1-5. Pastor Doug Batchelor: And know that in the last days perilous times will come. For men shall be lovers of their own selves, covetous, boasters, proud, blasphemers, disobedient to parents, unthankful, unholy, without natural affection, trucebreakers, false accusers, incontinent, fierce, despisers of those who are good, traitors, heady, high-minded, lovers of pleasures more than lovers of God. Did you say through verse 4? Pastor Doug Batchelor: Verse 5. Having a form of godliness, but denying the power thereof: from such turn away. Gina: Yes, please and then I was told that there will come a time when it seems to get better society and that anyway that would be like for my human perspective that would be false assurance because there is verse, please if you could help me with this part, “They cry peace, peace” but instead of feeling that everything is okay that we should really be alert and really be ready for the Lord’s return and precepts the part I would like you to explain. Pastor Jëan Ross: 1 Thessalonians 5:3. Pastor Doug Batchelor: Yeah, so cries of peace, things will get in many ways, things are going to get worst in the last days and we’re seeing that happen around us and Christ said, “it will be like labor pains where there’s an intensity of contractions in the world and with wars and rumors of wars and natural disasters and earthquakes and the financial problems and, now we see all that condensing but at the same time you’ve got more technology and medicine seems to be learning more, you got space explorations and so people are saying, “Oh we’re about, we’re just on the verge of a generation, a millennium of peace.” And so the leaders are saying, “Peace, peace.” And so they’re promising peace but man can’t bring peace. The only one who can bring peace is the Prince of Peace and that’s Jesus. Gina: Thank you so much and God bless you both. Pastor Doug Batchelor: Thank you for your question. Pastor Doug Batchelor: Next caller is calling from Virginia, so Kenneth, welcome to the program. Kenneth: Hi pastors. How are you guys? Pastor Doug Batchelor: Doing well. How can we help you today? Kenneth: Okay, my question today is first of all when I make the statement that true Christians can live a sinless life, is that true or false? Pastor Doug Batchelor: Kenneth, true Christian live, lead a sinless life. Yes. Do many claim that? I’d watch out for anybody that does. So that’s one of those loaded questions. Pastor Doug Batchelor: Now, let me, let me, before you launch in your question let me explain my answer please? Do you believe that the devil can tempt you to sin? Pastor Doug Batchelor: Do you believe Jesus can keep you from sin? Pastor Doug Batchelor: Okay, so we’ve got to be very careful. Everyone is already making lots of excuses for sin. That when someone asked me, “Is it possible for Christian to live a sinless life?” I take that verse where it says, “Through Christ all things are possible.” And that was the foundation for my answer. Anyway, go ahead now. Kenneth: Okay. So I was witnessing to my friend and I made the statement and they were of the opinion that man is bound to sin and they cannot live a sinless life. Now how would you witness to a person like this? Pastor Doug Batchelor: Well, if they believe the bible, I would tell them that normally if you throw a man out in the ocean in a dark night during the storm, he will sink. But if that man keeps his eyes on Jesus, he can walk on water like Peter. Being a Christian in this sinful world is impossible without the miracle of a new heart. But with the miracle of Christ holding our hand and are keeping our eyes on Christ, Christians do amazing things. You don’t see very many examples of it because there’s so many counterfeit Christians out there but according to the bible that you know, you keep your eyes on Christ, you can walk on water. Pastor Jëan Ross: You know I like the verse in particularly in Jude 24, “Now unto Him who is able to keep you from falling and present you faultless before His presence of His glory with exceeding joy,” That of course, is speaking of Christ. He’s able to keep us from falling if we keep our eyes fixed upon Him. Pastor Doug Batchelor: Yeah. Paul said, “I fought a good fight. I finished my course. I’ve kept the faith.” That doesn’t mean he was claiming perfection because in another place he said, “I do not count myself to be perfect.” But a Christian should be an overcomer. Jesus said in Revelation chapter 2 and 3 I think it’s seven times He says, “To him that overcomes.” And so, you know naturally Christian should strive, wrestle, struggle, run, fight against temptation and sin. And by the way, how do you pronounce your name? Pastor Doug Batchelor: Fricump, we have a book that’s called, “Is It Possible to Live Without Sinning?” and it’s got a great study on that subject. If you read that and then share with your friends, I think it’s a very encouraging book actually. I think that you’ll enjoy that. We’ll send you a free copy, “Is It Possible to Live Without Sinning?” Anyone who asks for that call the number. Pastor Doug Batchelor: And of course, if they want to save some postage they can read it for free online at the AmazingFacts.org website. Pastor Jëan Ross: Hello Williams, calling from South Jersey. Aldo welcome to the program. Wiliams: How are you, how are you? My wife was going to ask you a question but she allowed me to ask the question. Pastor Doug Batchelor: You got your radio on. I think you got your radio on the background. That’s going to confuse. Williams: Oh, not a problem. I’ll put it down. Not a problem. Pastor Doug Batchelor: You’re going to have delay. Pastor Doug Batchelor: You said something here that I need to just question. Pastor Doug Batchelor: The prophecy in Genesis 3:15 you said it was also talking about Cain and Abel. Pastor Doug Batchelor: You mean just because the son, the two sons, okay, I think I see where you’re going. Okay, go ahead. Williams: Okay, so now, it says, “When Cain came to make the offering, it said that Cain, it says, “But unto Cain, and to his offering He had not respect. And Cain was very wroth and his countenance fell.” Now we understand that Cain did not have respect because he never knew how to please God because he didn’t have the anointing of the relationship between God because he was already a seed of Satan, you understand that? Pastor Doug Batchelor: Yeah, I think I understand what you’re saying but I believe that Cain is an example, just like Adam and Eve, made a conscious choice to disobey God. Cain made a conscious choice not to offer a sacrifice the way God have prescribed. God told Adam and Eve when He gave them the coats of skins in the garden that’s when He established the sacrificial system that for the forgiveness of sin it required a life. The bible says, “Without the shedding of blood, there is no forgiveness.” Cain didn’t want to do it that way and he said, “You know, I’ve got my own idea.” He kind of made his own worship, his own religion. God did not respect Cain’s offering because Cain disobeyed. He did it his own way. And so it’s not that Cain had been preprogrammed by the Lord to do that or that he was somehow not really Adam’s child. So, I don’t know am I answering your question? Williams: I’m not sure because when it says, “I will put enmity between thee and the woman”, it says, “And thy seed and her seed, who is this seed? Williams: Unless she was pregnant by him and then that’s the separation for when after that Adam when and when they had Abel. Williams: Now it doesn’t disputively illustrate this but we know and understand from the revelation from the Holy Ghost that this is what the Lord is talking about. Pastor Doug Batchelor: It tells us if you look in Galatians 3:29, “The Seed of the woman was Christ.” It tells us in Revelation about this woman who’s bringing forth a royal Child. Seed means offspring. You can read there that the Seed who should come was to be the mediator. Galatians 3:19, Galatians 3:16. So Christ was the promised Seed of Abraham. Pastor Doug Batchelor: And in Cain. Pastor Jëan Ross: And in Cain. Pastor Jëan Ross: And his descendants. It’s not that God ordained that Cain didn’t have a choice in the matter that he has to be deceived by the serpent, no. The fact that Cain could bring his offering to God shows that he had an opportunity to respond to the goodness and in the same way that Abel had offered an acceptable sacrifice, Cain could have also done that but he chose not to. Pastor Doug Batchelor: Yeah. Okay, it says that Cain killed his brother because Abel was righteous and Cain was wicked because he didn’t like the goodness. Same reason that people persecuted Christ. Well, we got to go to a couple more questions Aldo Williams, hope that helps a little bit. Pastor Jëan Ross: We have Jose who’s calling from National Tennessee. Jose welcome to the program. Jose: Hello, Pastor Batchelor and Pastor Ross. Pastor Doug Batchelor: Yes, sir and your question tonight, Jose. Jose: You know my niece has a very advanced question for you and I hope that you can answer it. It deals with the Revelation 14:1-5, Daniel 12:2 and also Revelation 1:7 and it deals with the 144,000. Pastor Doug Batchelor: See if you can summarize it please. Jose: And the special resurrection. Pastor Doug Batchelor: Alright. See if you could summarize it as quickly as possible. Jose: Okay. The 144,000 part of are they composed of living righteous along with the righteous that are resurrected on a special resurrection before the general resurrection of the righteous? Pastor Doug Batchelor: I believe that the 144,000 are they are like last day apostles. When you look at the characteristics of the 12 apostles and how it identifies them, and then you go to the 144,000, it says all the same things about the 144,000 that it said about the apostles. Now, there’s one phrase where it says, “They are virgins for they are not defiled with women.” That has nothing to do with being celibate as, you know, as some churches interpreted it that way. It’s talking about they’re not defiled with the false doctrines of the harlot in Revelations 17 that they’re spiritually pure. Now we have a book on that. 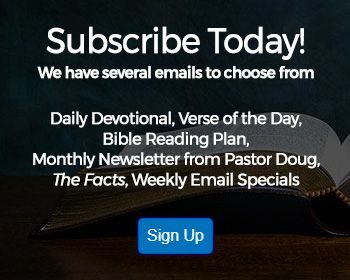 Pastor Doug Batchelor: Yeah, it’s really just, if you ask for the book on 144,000 I can go into great detail on that and you can read it online right now or we’ll send it to you. Either one. Pastor Jëan Ross: The number is 1-800-835-6747 and Jose ask for the book on the 144,000 or you can go online and read it at AmazingFacts. Pastor Doug Batchelor: Yeah, we’re not going to be able to go through all those chapters you mentioned. I apologize. Pastor Jëan Ross: We’re going to try and squeeze in a few more callers here. We got Jeffrey calling from New York, Jeffrey, welcome to the program. Jeffrey: Hi, how’re you doing? Pastor Doug Batchelor: Good Jeffrey. Your question. Jeffrey: You see I had a conversation with one of my friends and that’s on Proverbs 8:22. Jeffrey: It talks about Jesus. I’m assuming it’s talking about Jesus was possessedand then taken and hereby where it says, “Jesus was produced.” She started telling me that Jesus was created and. Pastor Jëan Ross: We look at great detail. Pastor Doug Batchelor: They are. Pastor Jëan Ross: But the number to call for that is 1-800-835-6747 and the book is entitled, “The Trinity – Is it Biblical” and of course, you can also read there online as we’ve been saying. Let’s see if we can get a few more callers in. Oh we got one minute left? Pastor Doug Batchelor: Who looks like they got a 30-second question? Pastor Jëan Ross: Let’s see who do we have here? Pastor Doug Batchelor: Ohbrother, you know what the music just catch off will you give us another chance and call back. We’re not going to. Pastor Jëan Ross: Have the time to answer your question. Pastor Doug Batchelor: Yeah. We misinterpreted our queues and we are actually out of time. Oh, friends, if we didn’t get to your question tonight, please we want to make friends with you, we want to get to know you. So, give us a call another time. 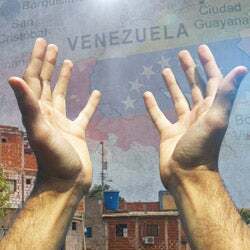 Please don’t forget to pray for Pastor Ross and I as we uplink from Michigan beginning October 8. It will be live through the 16 every night and twice on Saturday and be praying for the MIQ meetings. For more information go to MIQteens.com and please keep the event and the youth in your prayers. God willing we’ll be talking with again very soon. God bless. This has been a pre-recorded broadcast of Bible Answers Live, a production of Amazing Facts Ministries. If you would like to order the materials mentioned on this broadcast, call 800-835-6747 from 8 am to midnight Eastern Standard Time. That’s 800-835-6747. If you’ve missed an episode of Bible Answers Live, you can find it on our website AmazingFacts.org. You’ll also find our online sale catalog of books, tapes and other materials as well numerous free resources on nearly every bible topic putting the answers to your bible questions right at your fingertips. If you’ve been blessed by this program, let us know, write to us at P.O. Box 909 Roseville, California 95678. Be sure to tell others about the program and join us again next time for more Bible Answers Live with Pastor Doug Batchelor. If you’ve enjoyed this broadcast and would like to know more about what the bible teaches, sign up for the Amazing Facts’ free bible course. 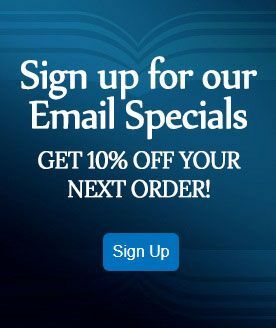 Go to www.BibleUniverse.com or call 1-800-835-6747 and ask to enroll in our free bible course. 1-800-835-6747.